Rebuild your credit rating with a card designed for those who have poor credit ratings, CCJs and historic debt problems. Need to rebuild your credit rating? We compare the cards that can help you on the way. Normally with high interest rates and low credit limits these cards are designed to let you rebuild your credit rating, but the costs of borrowing on these cards is high, and really they should be seen as a stepping stone to a better card. You are faced with different options though when it comes to rebuilding your credit. If you have had a significant credit problem in the past you will probably need a specialist credit building card, as detailed below. 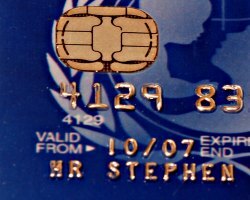 However if your challenge is that you just have not used credit up to now, or have a low income you may be better off with a standard credit card for low income earners. Before applying for such a card make sure your credit rating is not actually better than you think by running a credit card check using a service such as Credit Expert - which is subject to a monthly fee, but allows a 30 day trial period first during which a credit check can be run free of charge. If your credit rating is better than you thought, you may find a lower interest rate 'standard' card is within your reach.